If the answer is “Yes” to any of the above, you could well benefit from the Eyewise Dry Eye Care Programme. The term “dry eye” is self-explanatory- eyes that aren’t fresh, moist and comfortable. This is a problem that affects many people, but post-menopausal women and people who wear contact lenses are particularly susceptible to it. Your eyes can become dry in centrally-heated or air-conditioned rooms, and on aeroplanes. Long stretches working in front of a computer can dry your eyes because you don’t blink as often as normal. 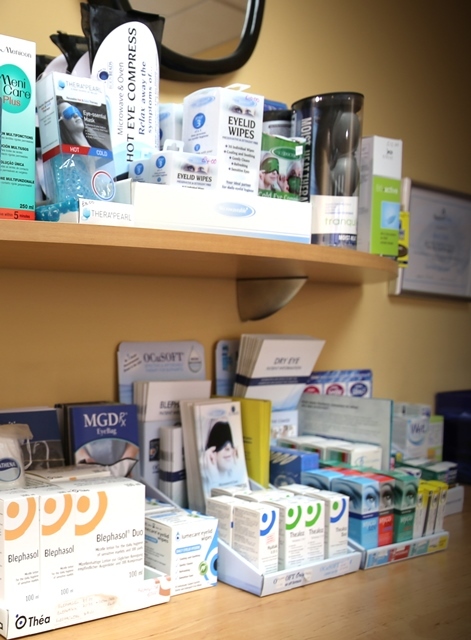 At Eyewise, we can now offer you a Dry Eye Assessment, which takes an in-depth view of all the factors that may be contributing to the problem. Recommendations can be made to alleviate your symptoms by means of a care programme, supervised by your own Eyewise “Ocular Eyegienist”. There is NO need to live with dry, red, irritated, uncomfortable eyes. Simply ask our expert Optometrists for advice and help on how to get relief from them.